A first-year who's just been dumped by her boyfriend. She’s part of the twenty-strong recruiting class of prospective members the Karuta Club manages to attract, but she's not remotely interested in the Hundred Poets. She has a love interest in Taichi Mashima. After being dumped by her boyfriend, Sumire decides to target handsome Karuta Club president Taichi and join the Karuta club. 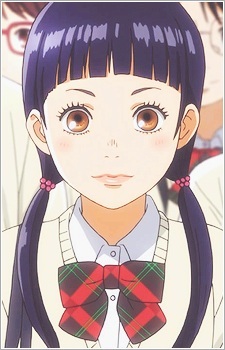 Even though she initially joined the club to be closer to Taichi, she is moved by everyone else’s passion and starts to become a proper member of the club. Mascara for life, and a carnivorous woman.